WhatIWore: These photos really capture October to me. Not the warm, bright blue skies contrasting the red and orange leaves, but the gloomy and damp days that tell us winter is getting closer. 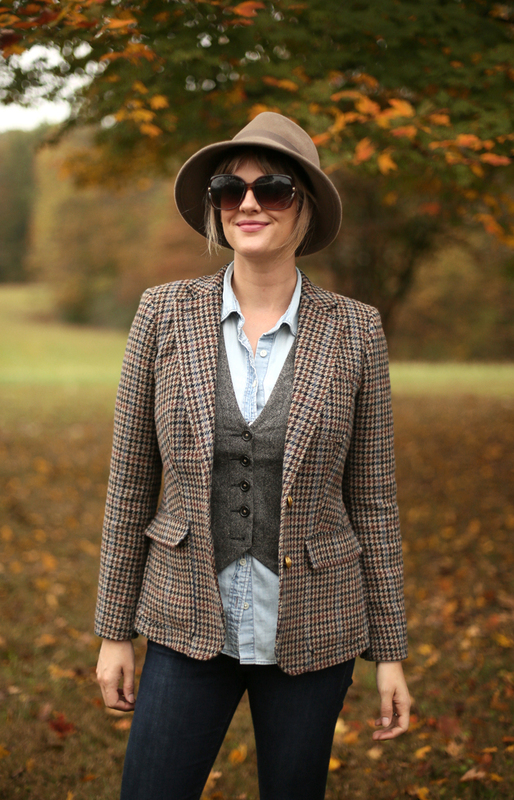 I’ve been inspired lately by all of the English woolen tweeds I’ve seen in magazines and glad I bought this one in my normal size last year when I was pregnant with Bea (worn here and here). 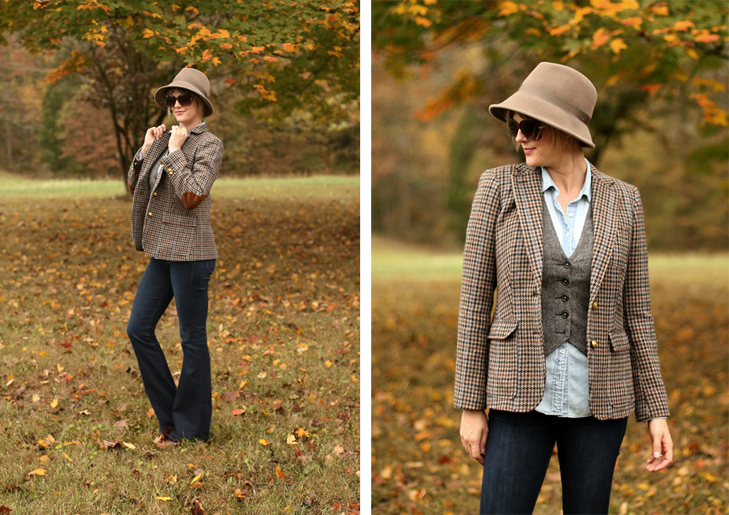 Today I layered it over a vest and pale chambray top and flared dark denim. 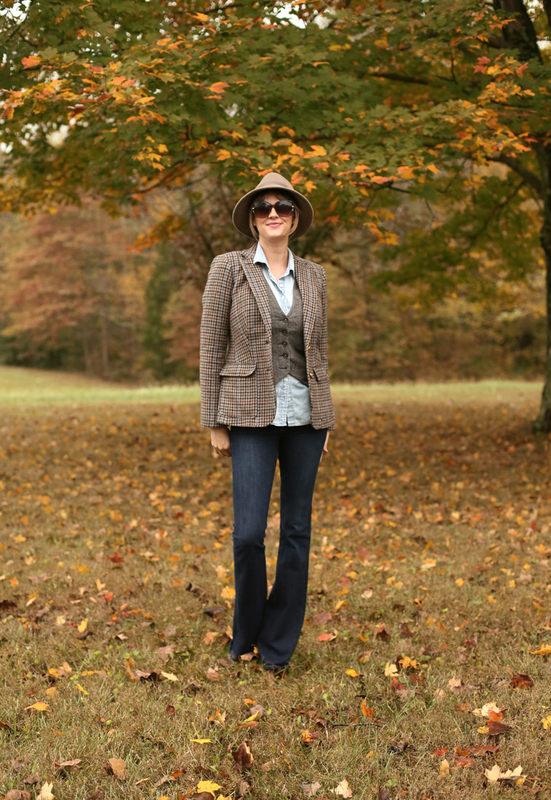 Very Annie Hall in a way - especially with the hat!